Essay, Paragraph or Speech on “Libraries and Their Classification” Complete English Essay, Speech for Class 10, Class 12 and Graduation and other classes. Essay, Paragraph or Speech on “Hotels and Their Few Types” Complete English Essay, Speech for Class 10, Class 12 and Graduation and other classes. Essay, Paragraph or Speech on “Tourism and Its Scope” Complete English Essay, Speech for Class 10, Class 12 and Graduation and other classes. Essay, Paragraph or Speech on “Abraham Lincoln – Eradicator of Slavery in America” Complete English Essay, Speech for Class 10, Class 12 and Graduation and other classes. Essay, Paragraph or Speech on “Adolf Hitler — Creator of Nazism ” Complete English Essay, Speech for Class 10, Class 12 and Graduation and other classes. Essay, Paragraph or Speech on “Benito Mussolini-Creator of Fascism” Complete English Essay, Speech for Class 10, Class 12 and Graduation and other classes. 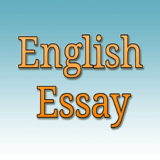 Essay, Paragraph or Speech on “Gurudev Rabindranath Tagore” Complete English Essay, Speech for Class 10, Class 12 and Graduation and other classes. Essay, Paragraph or Speech on “Kalpana Chawla” Complete English Essay, Speech for Class 10, Class 12 and Graduation and other classes.